Flu Vaccines (Quadrivalent & Preservative-Free) will be available starting October 3rd. All children 6 months and above should receive the flu vaccine annually. Call to make your appointment. With children back to school and flu season approaching encourage your children to wash their hands more frequently. Looking for a pediatrician for your unborn child? Make an appointment for a meet and greet with our physicians. We have pre-natal visits every other Thursday at 5:00pm. Please call to make your appointment. Village Pediatrics is one of the leading pediatric practices in the New York area and has been serving the health needs of young children since 1994. Since then, we have been working with patients that range from newborn babies right up to teenagers. We believe in providing complete and long lasting treatment so that your little one is able to get over his or her condition comprehensively and permanently. One of the primary reasons our patients come to us is our impressive range of services. We begin our medical support with free pre-natal consultation for expectant mothers which help us build a unique relationship that other pediatricians may not have the benefit of developing. We have an intimate understanding of the unborn child’s growth, development and potential disorders which help us effectively care and treat the newborn once he or she enters the world. Once babies are born we offer all the care that your child will ever need including the administration of vaccines. Then as your child grows, we offer care and support for a variety of disorders, illnesses and conditions that may effect his or her health as their immune system is developing. One of the main reasons some clinics and hospitals are disliked is due to their excessive wait times. Village Pediatrics fully understands this and we are proud to offer prompt service for our patients. 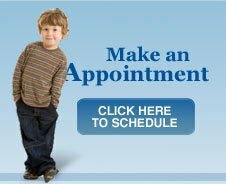 Once you enter our practice with an appointment we ensure you will experience minimal wait times so that your sick child can be tended to without delay. We are always available to serve you. Our doctors ensure they are on call for any emergency so even when it’s late at night and your toddler’s fever just doesn’t seem to go down, give us a call and we will provide relief. Further we don’t turn away patients because we cannot accommodate the appointment. A sick child always gets attention at Village Pediatrics so being available is our number one priority. Ultimately it is your most precious asset that needs to be cared for – your child and for most parents, nothing is more important. You want doctors who not only know their stuff but have the compassion to do it well. This is our greatest and most vital philosophy and at every step of the health care process we ensure that we adopt a compassionate approach to treatment. Looking for a pediatrician for your unborn child? Make an appointment to meet and greet with our physicians. We have pre-natal visits every other Thursday at 5:00pm. Please call to make your appointment. Check-Up season is here again don’t waste time and book your appointments early for camp and school. Warm weather is upon us and sunscreen and water safety is very important. All children should have sunscreen applied whenever they are going to be outside and should be reapplied often. Children should never be left unattended near pools, beaches and lakes.